When you’re getting divorced, it may feel like you can’t get on with your new life fast enough. You’re ready for your fresh start, and that may include a new home. Good for you! But it’s in your best interest to wait until your divorce is final before entering into a contract to buy a house. Spending money and buying property can muck up your division of assets at the last minute, creating legal problems and extra expenses. Read on for more information about why waiting to buy a home is the recommended option. Texas is a community property state, which means (most) property and debts you acquired during your marriage belong to both you and your spouse. Thus, a huge part of the divorce process is splitting up your assets and liabilities fairly. 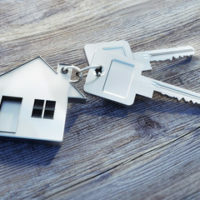 To deplete these assets by purchasing a home meant just for you could cause major issues, such as your soon-to-be ex making a legal claim to your new home. Also, Texas title companies generally will require your spouse to sign and notarize a quitclaim deed, disavowing and transferring any acquired interest in the home you’re buying. If you and your spouse are having any trouble communicating or difficulty seeing eye-to-eye during the divorce process, obtaining this deed may be challenging. You should also consider your post-divorce budget and the issue of obtaining a loan for your new home, as well as other costs associated with owning a home, such as property taxes and utilities. Any lender will want to see evidence that your income and debt will not change after your divorce, which likely won’t be the case. You may be facing increased expenses, such as spousal and/or child support payments, and while these details are still being sorted and negotiated, obtaining a home loan may not be possible. The divorce process is simply not the best time to make a major expenditure that will affect your life for years to come. But don’t lose heart. After your divorce is finalized, your financial situation will be much clearer, and you can buy the home that’s best for your new circumstances. Contact the Law Office of Maria S. Lowry to discuss handling your divorce in the most advantageous way for you. Our firm works with individuals and families throughout the greater Houston area, providing smart, compassionate, and (when necessary) tough representation through divorce and other family law matters, such as child custody, alimony, and property division.